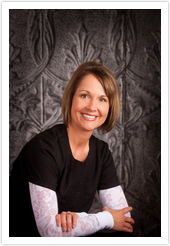 Dr. Laura Parks is committed to providing excellence in dentistry, and stands out as a leading dentist in Ida Grove. The doctor uses the latest in dentistry techniques to provide you with a beautiful and healthy smile. Additionally, Dr. Laura Parks believes strongly in education to prevent oral health problems before they occur, and makes sure to keep patients fully informed about their dental health. Read more about Ida Grove dentist Dr. Laura Parks below. Dr. Laura M. Parks graduated from Creighton University in 2005. Prior to studying at Creighton Dental School, she attended undergraduate at Creighton University as well. Dr. Parks has been practicing for over five years, since graduating and purchasing the practice from her late father, Dr. Daniel Patera, and is pleased to provide the same great service and treatment that has always been the pride and backbone of Patera Family Dentistry. Since she began practicing dentistry, Dr. Parks has kept up to date on many continuing educational classes, ensuring that her patients receive the most comprehensive and advanced dental care.